Fiat Chrysler states that every year, 2.7 million subcompact SUVs are sold across the world. In the United States, a large percentage of those sales are taken by Nissan and Kia, whose Juke and Soul, respectively, monopolize the urban-crossover scene. But these stylish vehicles do not have the off-road abilities that their SUV shapes imply, and that is where Jeep comes in. 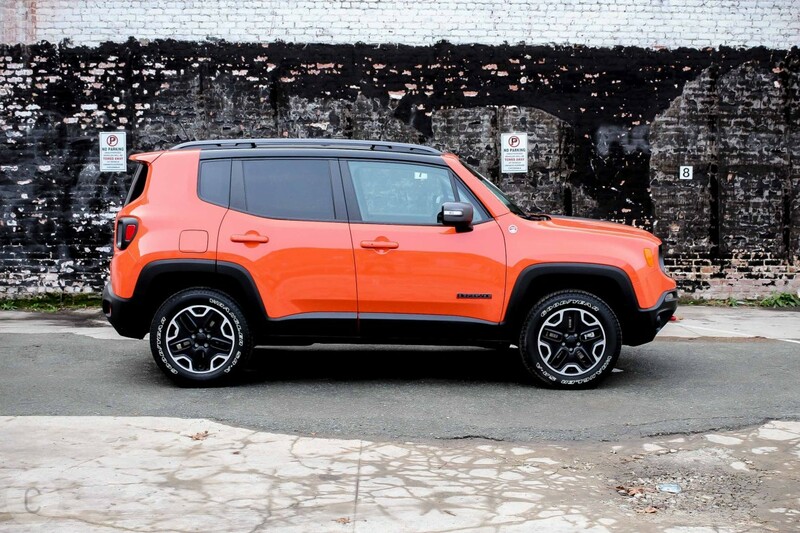 Jeep’s all-new Renegade has the modern looks and amazing capabilities to attract buyers while offering the high-powered capability that Jeep is so well-known for. Jeep has created something interesting with the Renegade and something that will make it a truly global brand, and we say “Right on!” If you are looking for a powerful drive with cool looks, the Renegade is for you. 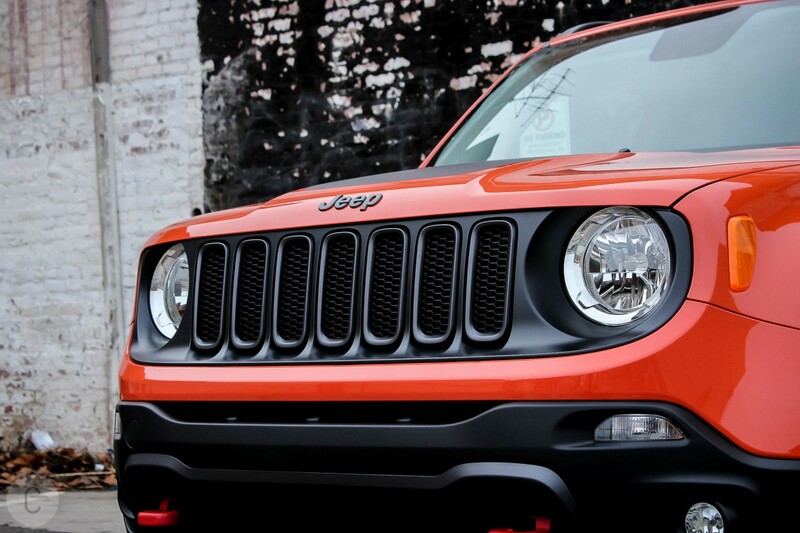 The Renegade we tested came in Omaha Orange paint. 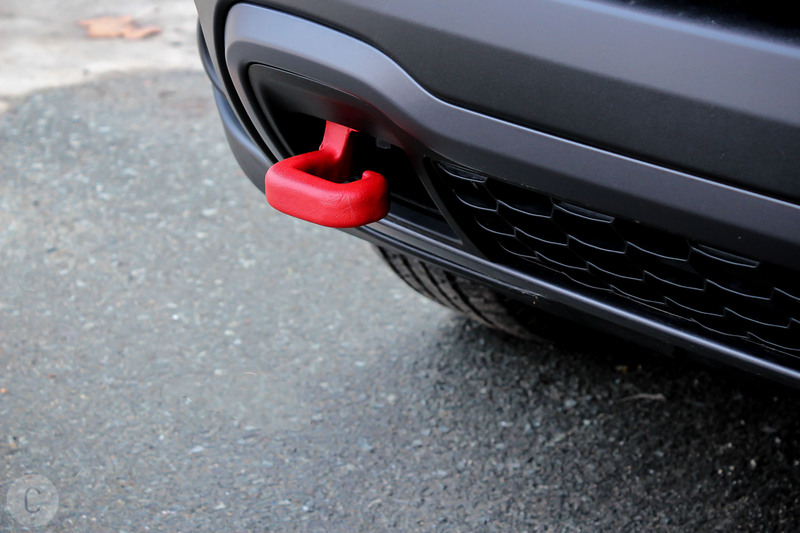 The exterior features popped with this color, making them stand out even more. The color was cool, the car was cool, and we felt cool driving it. 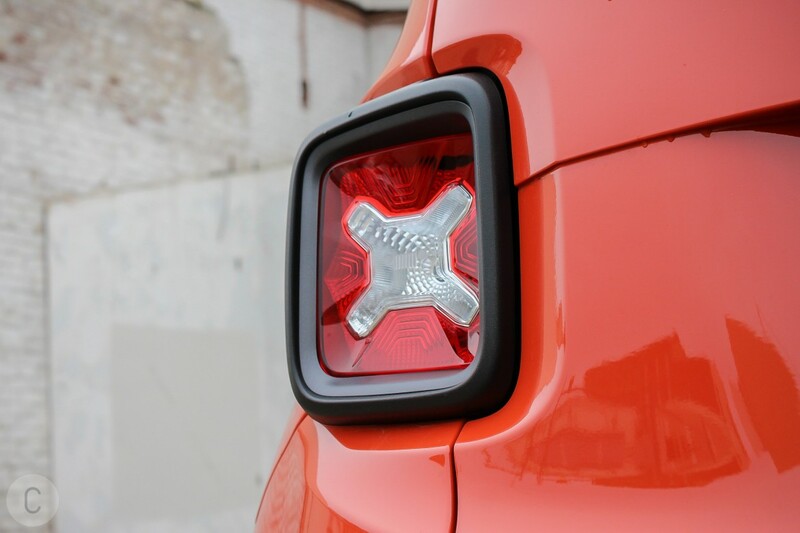 The Jeep Renegade Trailhawk’s exterior features include a hood decal ($150) which is a salient option to have. 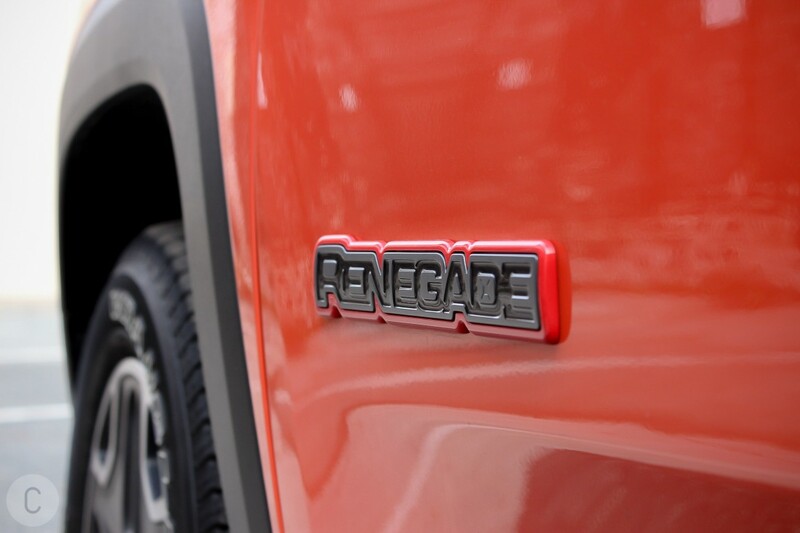 This is what will set the Renegade apart from other Renegades. You can be sure that it is worth the option price you pay. While the black painted roof may not be carbon-fiber like the Lexus RC F we drove last time, but it is a nice detail to have nonetheless. On the Trailhawk model, you get 17-inch aluminum wheels, dual sunroofs, automatic headlamps, power locks and windows, exterior mirror that has a heating element, cornering front fog lamps and keyless entry. Another supreme exterior feature is the capless fuel fill aspect. We love this feature because it means our hands are less likely to smell of gas and you say goodbye to dangling gas caps. The similarities between the Renegade and the Wrangler are obvious. The headlights, grille, and upright aspect are all inspired by the off-road legend. Subtler nods include tacked-on tail-lamps like the Wrangler’s and widened fenders that are reminiscent of the flat fenders that were found in older classic Willys models. The Renegade design is also inspired by the jerry cans that were often carried by patrolling old Willys back in the day. Those jerry cans have Xs stamped onto them and on the Renegade, you will find them in the headlights, taillights, on the roof and in a number of other hiding places that Jeep refuses to reveal. The design team at Jeep also hid Easter eggs all over the Renegade. You will find Willys Jeep silhouettes is stamped on the wheels of the Jeep. You will find the grille and headlight and the grille-and-headlights emblem artistically printed on the inside of the tailgate that lends it an uber cool look! Senior FCA designers gave the task of designing the Renegade to its youngest members, telling them to design a car for themselves. The young designers came up with the design for interior and exterior of the crossover. They wanted to give the vehicle an urban and active feel simultaneously. So you will see that they used themes from activities like Parkour, base jumping and paintball, which you will clearly see in the where you will find orange splatter serving as the redline of the car. The interior of the Renegade we test drove was black. It had removable roof panels that require two-handed operation and a key. 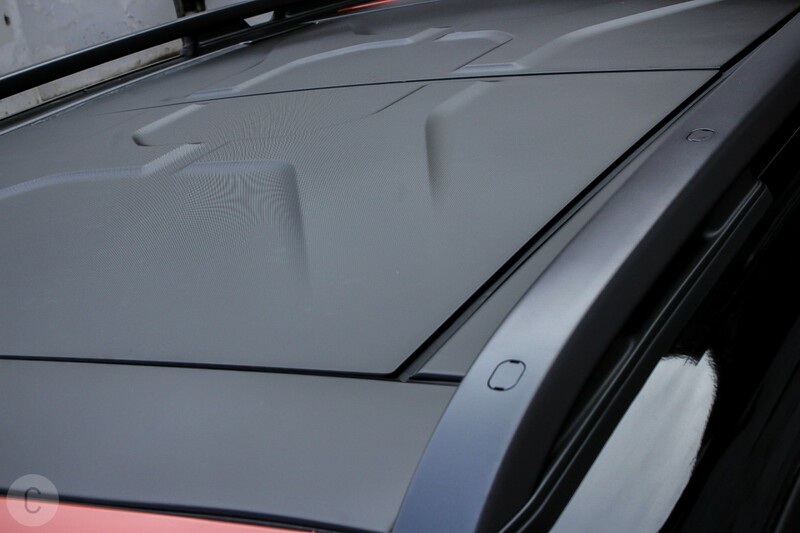 It is a little inconvenient as you cannot complete the process of opening the roof without stopping the car. If you tried to remove them while driving, they would lift up and fly off. Again, the interior design is inspired by extreme sports. The team that designed the interior were no doubt taken by the suit that you see BASE jumpers wearing and also the environment in which sand surfing takes place. So obviously, the bright, orange-trimmed interior is named Basejump while the earth-toned one is named Sandsurf. The Renegade may have been designed mostly in Auburn Hills but you cannot deny that there is quite a lot about the car that makes it highly international. 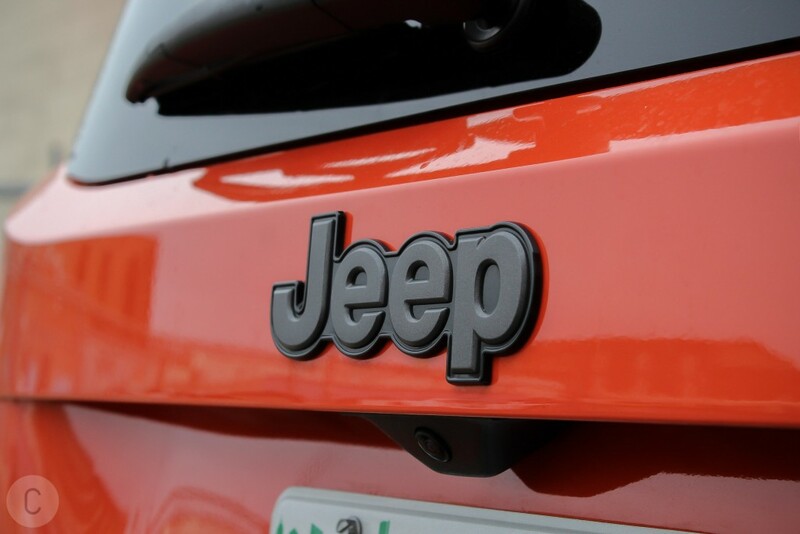 It is the first Jeep to be introduced outside of the United States and will be built in Italy. Jeep expects sales in Europe to outpace those in America. The design team based in Michigan was flown to Turin to oversee final design changes as engineering alterations were taking place. Other interior features include cluster 7.0-inch TFT color display, leather-wrapped steering wheel, elegantly positioned steering wheel-mounted audio controls, tilt steering column, ambient LED interior lighting, and a really cool height adjustable rear cargo flooring. You can press the button for a Tonneau cover ($75) if you need a little privacy, passive entry or Keyless Go ($295), My Sky removable or retractable panels ($1,395) and a remote start system ($200). You also pick up optional interior equipment as part of the Popular Equipment Group ($745) which includes a 40/20/40 rear seat that comes with trunk pass-thru for added convenience. You also get an A/C auto dual zone temperature control that allows you to set the temperature for two zones. Power 8-way driver seat and manual 4-way passenger seat adjust and power 4-way lumbar adjust for driver seat gives you the support you need to drive even long distances in comfort. The Group also includes 9 amplified speakers paired with a subwoofer to give you an incredible sound from your entertainment system. We loved the Renegade’s design that is clearly inspired by extreme sports. The vents in the car exist because the width of the dashboard is not in the right proportion to fit in the usual HVAC layout of vertical vents mounted on both sides of the infotainment screen. So it was moved to the top of the dash. The Renegade has a rating of 29 highway, 21 city, and 24 combined. After driving the car around for a little less than a week, the observation was about 21 mpg. When it comes to mpg, the Honda HR-V is the undisputed class leader. When you compare it to that as well as other class leaders, you may consider the mpg on the Renegade to be average. The Renegade comes with a 2.4-liter I4 MultiAir engine that is capable of generating 175 lb.-ft. of torque and 180 hp, as well as a 9-speed automatic transmission. 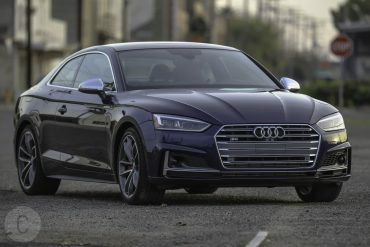 Yes, we know that this is not the fastest by any means, but you will find that it is okay, as it makes up for what it lacks in performance in other parts. 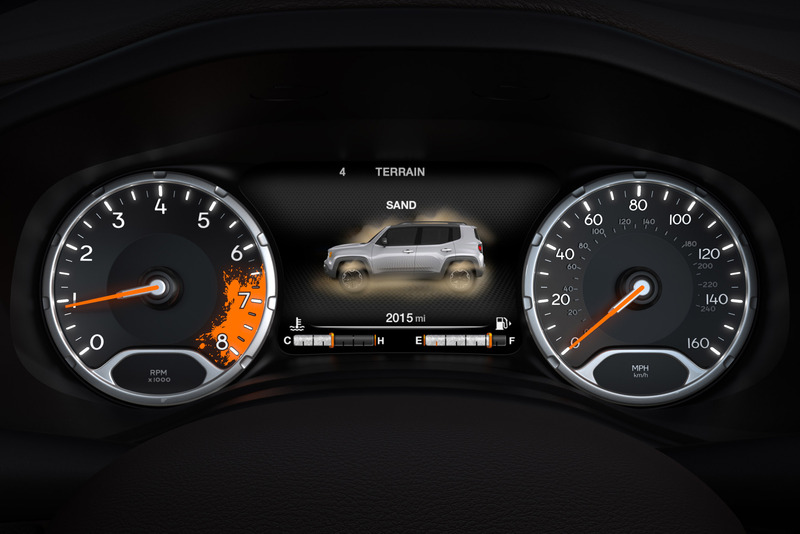 The 0-60 time of the Renegade is 9.2 seconds. The crossover’s Selec-Terrain drive-mode system is the same as the one found in the new Cherokee, but because of the Renegade’s16 different powertrain global combinations, the system required more parameters so that all those engine and transmission options can be accommodated. Jeep had to make more than 6,000 parameter adjustments to set up Selec-Terrain for Renegades across the globe, and consider that every nine-speed automatic cog needs to have its own calibration, so in reality, that number is closer to 54,000. The Renegade offers solid off-road performance. With extensive use of high-strength steel, you obtain a stiff monocoque and the use of aluminum helps in reducing the weight in the front. The car also has an optimized MacPherson suspension that helps in reducing camber changes and increasing the grip. 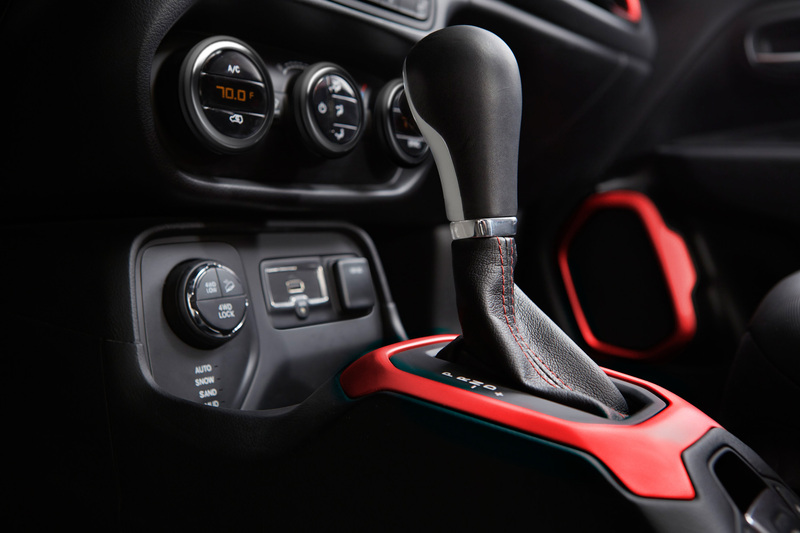 The 9-speed box is incredibly smooth as well – it will could leave you wondering how you ever drove all your life without it. Also, at 80 mph, the turnover is at just 1,900 rpm, so one of the things you can look forward to with the Renegade is super fuel efficiency. The Renegade also has a suspension travel increase of 15mm, which means that it leans just a tad when you are driving through a corner. However, the ride is good, and apart from a little weirdness in low-speed self-centering, the vehicle’s electric power steering feels direct, weighted, and accurate in a reliable way. Best of all, the refinement that the Renegade gives you on the motorway is without a doubt excellent. Some tech features include a remote USB port (charge-only), a USB and auxiliary media hub, and Parkview rear backup camera. This offers state-of-the-art technology features that were once found only in premium SUVs. The UConnect systems found in the Renegade provides a wide range of navigation, entertainment, and hands-free communication features. 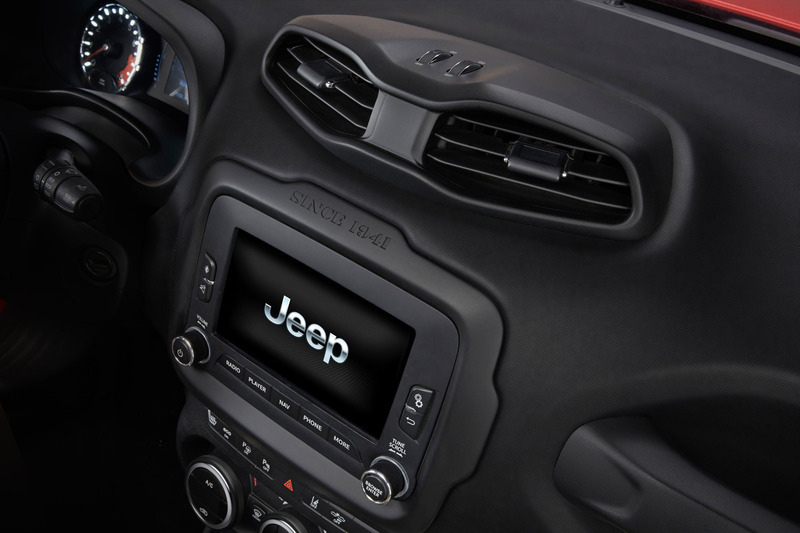 UConnect Access makes the Jeep Renegade one of the most innovate small SUVs in the current market. Due to the features and services that come with this technology, you can remain productive and accessible without taking your hands off the heated steering wheel. You can choose from an option group called the ‘Navigation / SiriusXM Satellite Radio’ group ($1,245), which includes the following: GPS navigation HD radio system; a large interactive 6.5-inch touchscreen display; Uconnect access; Traffic with 5 year sub; Uconnect access with mobile phone; SiriusXM Travel Link with 5 year sub. When it comes to safety, the Renegade comes with a stellar package ($595) which includes a security alarm and blind spot and cross path detection. Other safety features include the multistage front airbags, which inflate with a force which is in accordance with the austerity of the impact. For smaller, out-of-position occupants, the new airbags are compliant with FMVSS 208 advanced airbag requirements. Another fantastic feature of the Renegade is the transmission skid plate. The supplemental side-curtain airbags extend protection to all outboard passengers – front- and rear-seat. Each side airbag is built with an impact sensor that individually triggers the air bag on the side where an impact takes place. The side-curtain airbag can be found just above the side windows in the headliner. Other safety features of the 2015 Renegade are the transfer case, front suspension and fuel tank skid plates. The electronic stability control (ESC) comes with electronic roll mitigation (ERM) and seven standard airbags. 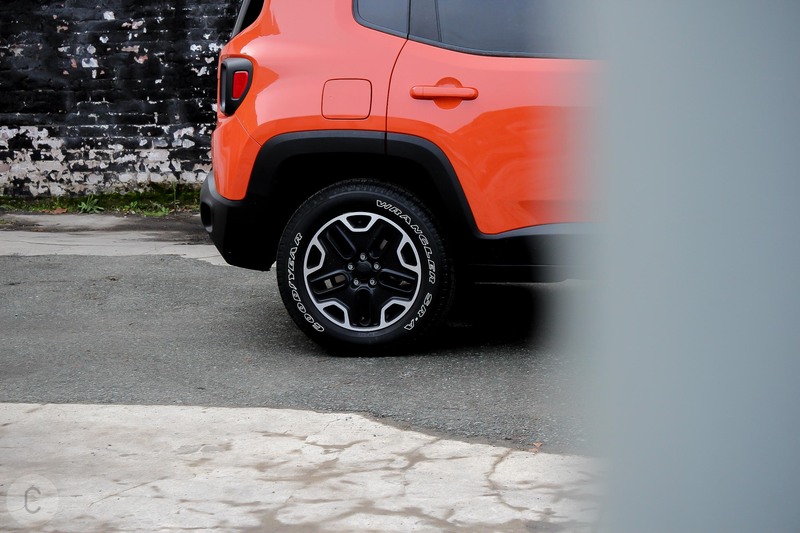 In addition, we also noticed the Renegade’s anti-lock 4-wheel disc brakes, the select-terrain system that comes with rock mode and not to forget, the speed control. The all-speed traction control is part of the ABS (anti-lock brake system) and helps keep the steering wheel from spinning from a stop during acceleration, or during all speeds by application of individual brakes alone or combined with engine torque limitation which prevents the wheel from spinning. Then, there is the electronic roll mitigation (ERM), which is an extension of ESC, using input from ESC sensors that help foresee if the Renegade is at risk of entering a potential roll situation. The ERM, then applies individual brakes and fine-tunes the throttle position as required. Another safety feature is the tire-pressure monitoring (TPM) system which enables the driver to know when the tire pressure is too low. Continuous radio-frequency signals are sent to a receiver and the system by the pressure-sensor modules found within the valve stems of all four wheels. The TPM system self-learns the tire position after rotation or if the tire is moved to a new location. Last but not least, we have the hill start assist and descent control, a safety feature which allows the vehicle to descend steep grades with minimal input from the driver. The safety features are well-made and effective (but we did not find out!). You can certainly drive with assurance, knowing that you have some of the best safety features available in any crossover on the market. 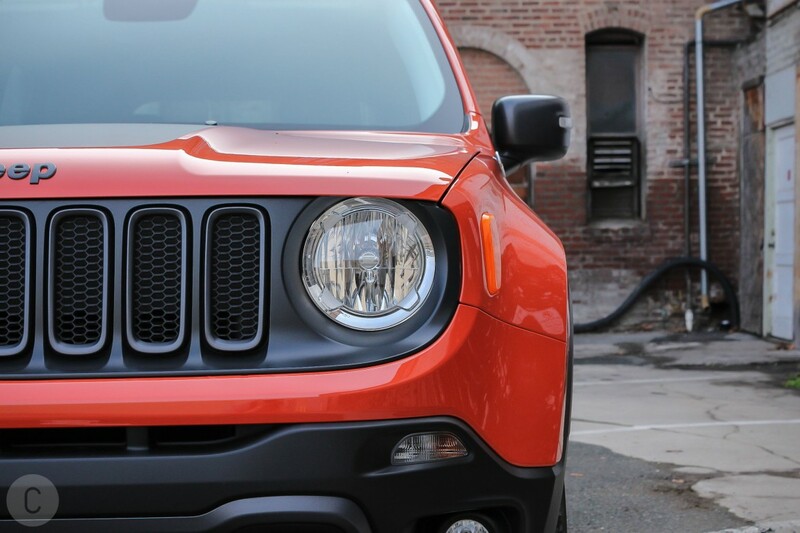 The Jeep Renegade has a base price of $25,995. Including all the options in the Trailhawk, the grand total comes to $31,690. Competition: The 2015 Jeep Renegade has a close competitor in the hatchback-derived, slightly larger Subaru XV Crosstrek. The Crosstrek is a smash hit among drivers with rugged durability, standard AWD, and the ground clearance that handles light off-roading beautifully. When it comes to the highest volume, the new Chevy Trax, is most likely the Renegade’s biggest competitor. The Trax is upright and functional like the Renegade; the difference is that it does not have the Jeep cachet. The Honda HR-V and Mazda CX-3 are two other major competitors. They are both more stylish, and more likely to be used for driving in the city and suburbs compared to the tough but refined Renegade. What we liked: Despite being based on the Fiat 500X, the Renegade is a real Jeep. Its styling is cute and slightly cartoonish, which adds to its charm. 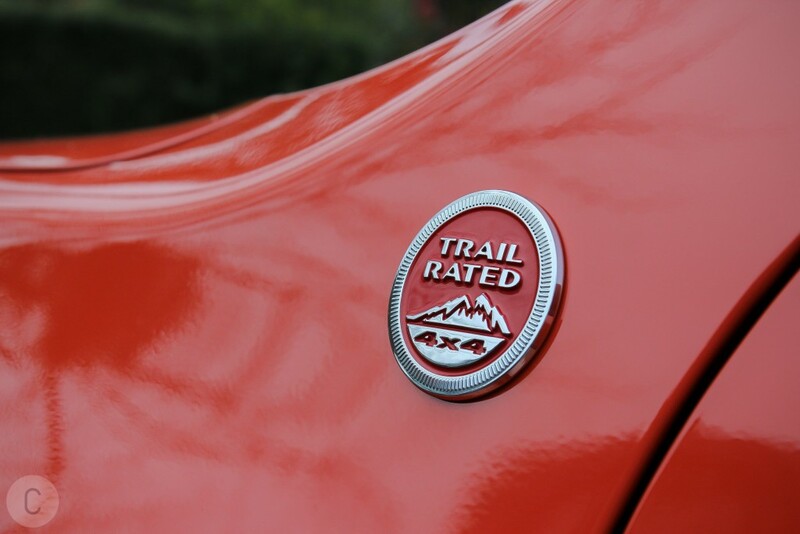 We also give its off-road capabilities a thumbs-up. What we didn’t like: We found that the engine lacks power. Another minor detail, we also observed was that driving would be more fun on the Trailhawk if it had a manual transmission. We also considered the price, coming to the realization that it is a little high for a small UTE (utility vehicle). 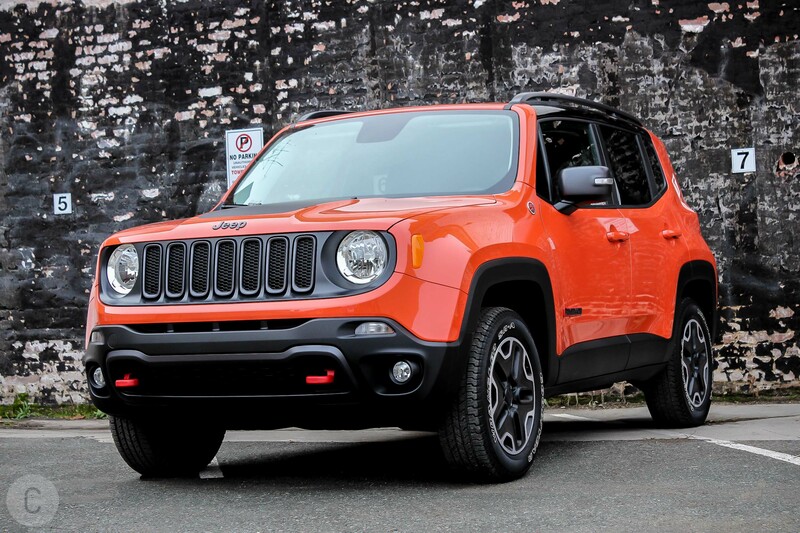 If we are being purely objective, the Renegade is not exactly the best SUV for a typical buyer. However, it is the only member of the field which is able to build a real SUV case. Although it can be surmised that it, along with its Fiat 500X sibling, has been built in Italy, as a Trailhawk, the vehicle does present itself as a genuine Jeep. Objective reasoning is too much of a hassle, given Jeep’s long list of intangibles. Compared to, say, the Chevrolet Trax, the Renegade is much more authentic. The Renegade has a much closer alignment with its ethos than the Countryman with its MINI and looks much tougher and is much tougher than the Countryman. Also, not one of the SUV’s direct subcompact rivals, given high praise for their on-road performance, are able to impress on the road as the Jeep does when driven off the beaten path, with its exceptional approach and departure angles and functional ground clearance. While it is true that the Jeep Renegade is not the best car out there, you have to admit that it is a fabulous Jeep. Jeeps are more popular than ever at present, and it is more than likely that this is what Jeep wanted this good-looking SUV to be.